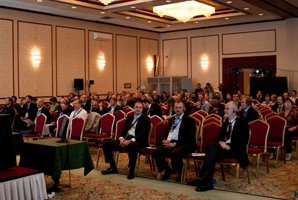 S1000D User Forum 2010 in Moscow! The Ninth S1000D User Forum 2010 had been held between the 27th and 30th September, 2010 in Moscow, Russia at the Aerostar Hotel. The theme of the event, hosted by the CALS R&D Center "Applied Logistics", was "Application of S1000D within a state-of-the-art Integrated Logistic Support environment". ASD S1000D is the International Specification for Technical Publications utilizing a Common Source Database. The Forum had marked the release of advance information about the latest issue of the specification (S1000D issue 4.1), planned to be published in spring 2011. The information about the new release has been delivered by members of S1000D Steering Committee and its associated working groups. Integration and harmonization of data within S1000D and the other ASD support standards is the priority in the S1000D development process. This Forum had presented the latest developments and implementations of the S1000D specification, how it relates to other ASD support specifications and how software has been developed to support it. About 250 representatives of more than 130 companies from 19 countries participated in the User Forum (see section Participants). Track 1: "S1000D – A common approach for data processing – Technologies and experience". Track 2: "S1000D within an integrated support environment – enabling the state-of-the-art implementation". Besides the presentations there was software vendors and consulting companies’ exposition with the latest solutions in the ILS area. This Forum, the first International S1000D conference in Russia, is a significant step forward in the collaboration of Russian Industry with the international ILS community.